Quincie P. Morris, teen restaurateur and neophyte vampire, is in the fight of her life. Even as she adjusts to her new appetites, she must clear her best friend and true love, the hybrid-werewolf, of murder charges; thwart the ambitions of Bradley Sanguini, the seductive vampire-chef who ‘blessed’ her; and, keep her dead parents’ restaurant up and running. She hires a more homespun chef and adds the preternaturally beautiful Zachary to her waiting staff. But with hundreds of new vampires on the rise and Bradley off assuming the powers of Dracula Prime, Zachary soon reveals his true nature – and a flaming sword – and they hit the road to staunch the bloodshed before it’s too late. Even if they save the world, will there be time left to salvage Quincie’s soul? 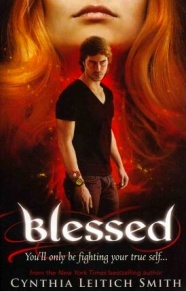 Things really turned around for me with this instalment, the first two weren’t exactly books I’d rave about, so I was surprised when I actually enjoyed almost the entirety of Blessed. The extended page count helped with the development and the pacing—generally the plotting just felt better put together. I’d probably like the series a lot more if I had started with this one, but then I would have missed out on all of the character backstory. I really liked the culmination of the two different casts and the change in Quincie’s persona. She still has the restaurant at heart, but she’s got bigger problems to worry about than organising menus and hiring staff. The restaurant does get a share of the attention at the beginning, though. It’s less of a focus, which I appreciated. As a new vampire, we get to see Quincie dealing with the prospect of drinking blood. With Brad, her maker, gone, it allows a look into the struggles of someone who knows what they need but not how to deal with it. I enjoyed these, perhaps less eventful chapters, but found myself deeper enthralled once Zachary showed up to take over as her guardian angel. A lot of the things the things that Quincie didn’t know about were apparent to the reader as the new people in her life had been important characters of the previous book. Thankfully, though, she didn’t stay in the dark too long or I would have gotten annoyed. A qualm of mine was the lack of Kieren once again. I was expecting with Brad gone, Quincie and Kieren would be able to have their happy ever after, but no, more obstacles were placed in their path. It makes sense and adds to the believability of their situations, but I still would have liked to see more of him, to get to know him better. I do however, like the situation Quincie was thrown into, living with her almost-boyfriend’s family, and in his old room of all places—talk about tough reminders. Bringing in side characters Quincie’s own age gave the book heart, creating friendships that weren’t brought about by duty (for the most part). It’s clear that Cynthia is a fan of Bram Stoker’s Dracula, as it’s threaded all throughout this series. But with Blessed especially, I felt like there was too much time spent rehashing it. There was a whole chapter where Quincie read the book and gave the reader a cliffnotes version of it. It does play into the plot, and helps you to understand the motives of the characters, but I just felt like the book would have flowed better without this particular detour. I guess though, for fans of Dracula, this might actually make the book more enjoyable. 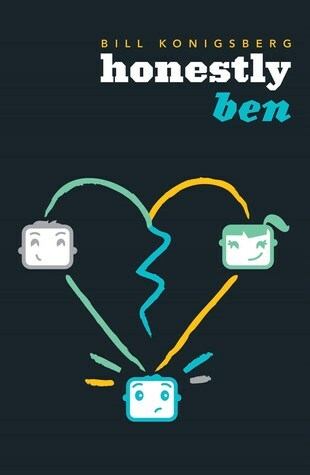 With Zachary in place for most of the novel, I was glad for the lack of a love triangle. Zachary’s convictions would have made such a situation counterintuitive to his character. He worked well as an older guy-friend. They have their sweet scenes together, but there’s a clear understanding that there isn’t any romance there, both of their hearts are pre-taken. Even without Kieren there for the better part of the book, it didn’t feel like the romance was lacking. For what little time Kieren is around, both characters managed to convey enough emotions to keep things interesting. Those after a mix of paranormal creatures. This one has guardian angels, werewolves, a werepossum and a heap of vampires.